(8 oz.) 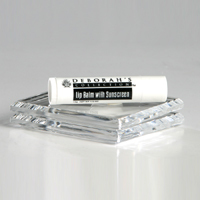 Soothes arthritic discomforts or muscle strains. 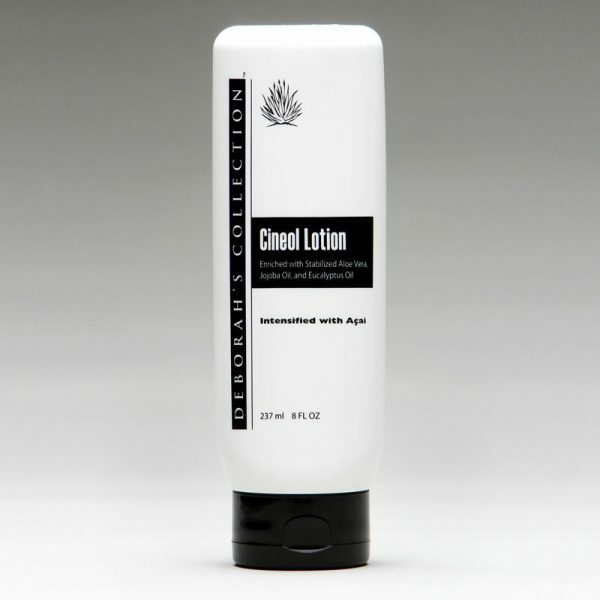 Deborah’s Cineol Lotion is a moisturizing, deeply penetrating lotion which is formulated to aid in the relief of arthritic pains, muscle strain or deep-seated pain. Because of the high concentration of Stabilized Aloe Vera Gel (80%) and natural Eucalyptus Oil, the Cineol Lotion aids in the reduction of swelling and relieves pain normally not reached by topical applications. It may be used for topical skin problems, muscular soreness, dry or chafed skin, rashes, abrasions, dry skin bumps, flaking, and many other problems. Arthritic users attest to great relief in both pain and stiffness. Apply three or four times daily as needed to aid in relief of joint pains or other deep-seated pain. Massage gently and thoroughly. Because of the high concentration of Stabilized Aloe Vera Gel, the product has tremendous penetrating powers. Therefore, it should not be used on deep puncture wounds. The danger of tetanus is the reason for this warning. All deep wounds must be thoroughly cleansed before applying medication of any type. If pain or swelling persists, a doctor should be consulted.